Stock Photography is something every website owner should be educated about. Using images online without the proper user rights can cost you thousands of dollars in legal fees and hours of stress and frustration. Well written, well researched ebook that covers everything a website owner needs to know about using stock photos in their projects and more. You can edit this anyway you want and put your name on it OR leave it just the way it is and sell it “as is”. 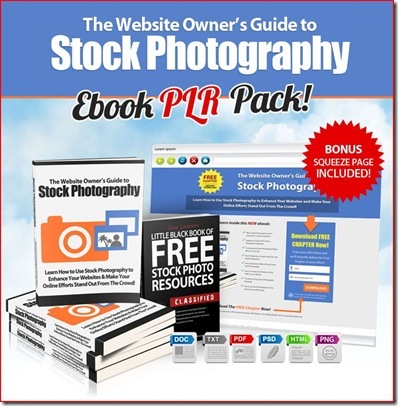 Hurry and Get Your Private Label Rights To “Guide To Stock Photography Today”!